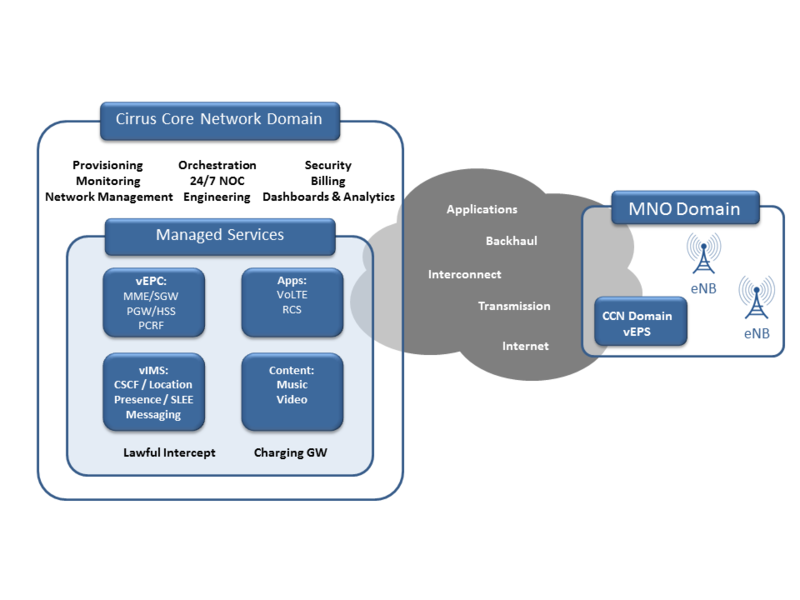 Situational Analysis: This Use Case is for Enterprises, Public Safety, and even MNOs who have deployed or wish to deploy a dedicated core network for a Private LTE network. RAN can be shared or dedicated in the case that the MNO is involved or unlicensed spectrum, such as LAA, CBRS or MulteFire, is available. These entities typically do not have in-house engineering expertise, thus a flexibly managed solution ensures minimal CAPEX and low OPEX, while maintaining a locally deployed secure solution. Public Safety and mission critical services can sometimes be impacted by using Public LTE networks. Require a cost effective and scalable solution. Enterprise and Public Safety require a managed core infrastructure since this is typically outside their core business. CCN’s Private LTE solution provides an locally deployed flexibly managed packet core consisting of EPC, HSS, and IMS/VoLTE. The solution can be fully managed freeing up the MNO and/or Enterprise to focus on optimized eNodeB coverage. Flexibly managed service enabling live operations in a matter of weeks. CCN’s solution is fully standard compliant and incorporates an added layer of data security. Eliminates the need to hire or train resources on LTE packet core and IMS. The option of deploying in the Cloud, enables multiple sites to interconnect.